There could be any number of reasons why you would need airport transfer limo hire . It could be your honeymoon, you could be flying abroad to get married, it could be a well deserved family holiday, a stag night abroad, a hen night abroad or you could be flying abroad on business. Whether it’s for business or pleasure airport transfer needn’t be stressful if you hire a limousine. This means no need to book a taxi or worry about leaving your car in the airport car park and most of all you get to travel in style sipping complimentary champagne. And because hire-limo-surrey.co.uk covers limo hire all over the UK this means every major UK airport is covered. We at hire-limo-surrey.co.uk offer a quality chauffeur hired stretched limousine and we cover the whole of the UK. 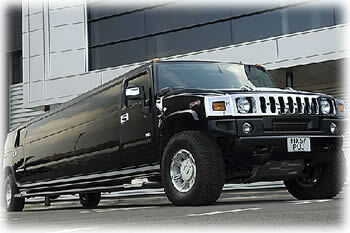 Hire-Limo-Surrey.co.uk are here to help make things easy and also extra special. We have access to a vast amount of different limousines from a standard Stretch Lincoln limousines, H2 Hummer limo hire, H3 Hummer Limo hire, Range rover limo hire, Porsche Cayenne limo hire, Ford excursion limo hire, Lincoln Navigator limo hire, BMW X5 Limousine hire, Jeep Expedition Limo hire, Party bus Limousine hire, Fire engine limo hire, Chrysler C300 Baby Bentley Limo hire and even the new Audi Q7 limousine hire. Airport transfer limo hire can be enjoyed with our chauffeur hired stretched limousine service as we cover the hole of the UK and have access to over 300 limousines all over the UK. Our limousines also come in vast different amount of colours such as pink Limo hire, Black Limousine hire, Silver limo hire, White limousine hire, Gold limo hire, Red limousine hire and even Orange Limo hire. So the choice is entirely up to you. We also cater for School Proms, Hen / Stag parties, Weddings, Birthdays and Corporate Events. Please feel free to have a quote on our Airport Transfer limousine or call 0871 789 9911.